Excursion - Friday 29 August, 15:30 - 17:00 (details will be announced in the symposium, see below for location). 3D virtual environments offer efficient, safe and environment friendly facilities for measuring human behavior. Examples are driving simulators and shop simulators. Although the benefits are clear, the end users have not been quick to take up this promising innovation. The main question end users like driving schools or supermarket owners have is, “can I transfer the knowledge acquired in the simulator to the real world?”. In this symposium we will present several studies from the field. These studies show how 3D virtual environments are being used for measuring behavior. The presentations will focus on the transfer and retention of the measured behavior in real life and the achieved benefits for the end user. 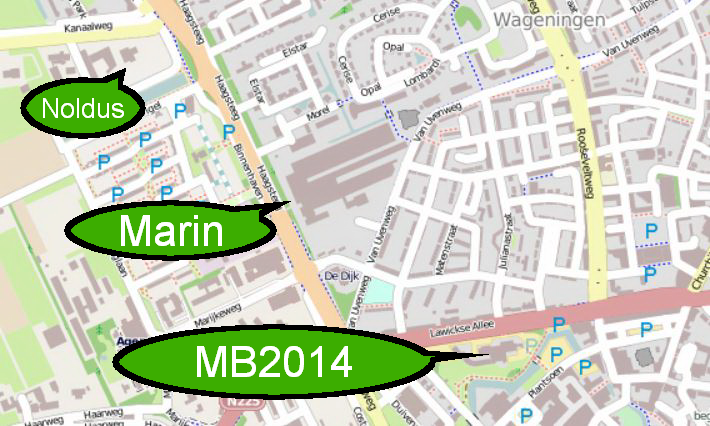 Participants of the symposia can visit the vessel simulator facility of MARIN after the seminar (walking distance). At the premises of MARIN several simulators will be demonstrated such as a driving simulator and a shop simulator. 11:10-11:30 Kees Nieuwenhuis, Thales Nederland B.V. From 2D to 3D in ATC? Can operators be trained?